Salam! This is where I share my views and thoughts, I’m interested in documenting and talking about the Arabic visual culture, design, calligraphy art, and the hidden aesthetics that we should learn from! 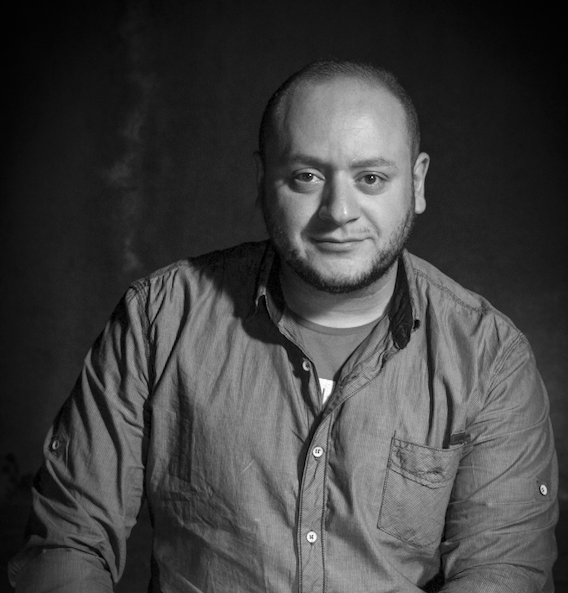 I’m Hussein Alazaat, a multi-disciplinary Designer, and Calligraphy Artist from Amman, Jordan. Father of Three. Founder of elharf.com and alazaat.comمرحباً بكم، أنا حسين الأزعط – مصمم وحروفيّ عربي من الأردن. شكرا محمد، تكلمت مع الاخ غازي ولكنه على مايبدو مشغول جدا 🙂 على كل أنا أعلم أن لديكم مخزون من الآرمات القديمة، وبصراحة انتظر حتى تأتي الفرصة المناسبة كي أزوركم وأشاهد المجموعة. I am much too delighted to visit this site,its really amazing, brilliant collections of the ages,a paradise of the ancient relics and works of art.Excellent work by Hussein Alazaat to serve or please the humans is a way to attain the love of Allah subhana talah. Hussein Alazaat is a competent designer and a generous person, who feels happy to help.